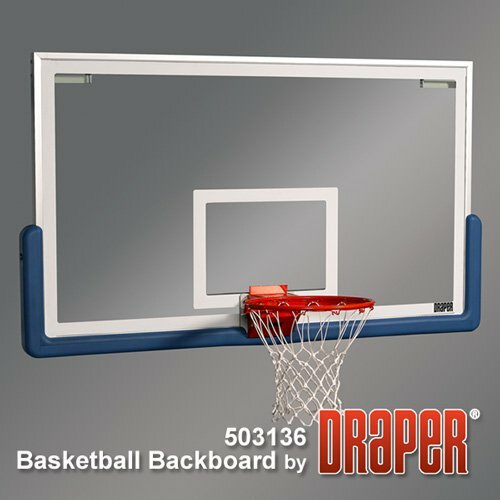 The Draper 503136 42 x 72 regulation size tempered glass basketball backboard is 1/2 inch thick and designed to be used only for backstop structures with goal brace direct goal attachments. Fully tempered 1/2" glass with official white target and border permanently fired into glass. Frame constructed of extruded brushed aluminum. Used only for backstop structures with Goal Brace direct goal attachments. Indoor use only.